What’s the difference between track cycling and the Velodrome? I ride on the road and mountain bike, why should I ride track? So I did the Intro to Track, what next? Can I just ride or am I expected to race? Who can use the Velodrome? Can I go anytime? Do I have to bring pedals? I don’t think I can go fast enough to not fall. Should I still try? Is there somewhere I can come and watch to see what its all about? Can I ride my road bike on the Velodrome? Where is the Burnaby Velodrome? When is the track open? I don’t live in BC, what kind of license will I need? The Burnaby Velodrome has a number of programs for cyclists of all abilities We have programs tailored to both youth and adults ranging from recreational cyclists to racers. A velodrome is an oval cycling track, with banking to allow for continuous moderate to high speed cycling. For a detailed description of velodromes, track cycling and track racing read this cyclingnews article. The track is 200 metres long, 6 metres wide with 47 degree banking in the corners and 15 degree banking on the straightaways. Have a look at the pictures on the about us page. It can sometimes get confusing when people talk about the track…err, the velodrome. Really, there’s no need to get confused. 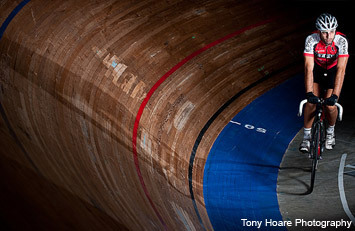 The velodrome is the place where track cycling happens. In fact, many people will refer to the velodrome as the track. From now on feel free to use the terms interchangeably. Track cycling is unique to many disciplines of cycling in that all of the skills you acquire while riding at the track are completely transferable. In addition, because you can’t coast or drop below a certain speed the intensity of the workouts tends to be higher than an equivalently timed road ride. It’s safe to say that on any given day you’ll work on everything from leg speed and pedal efficiency to bike handling and maximal aerobic power (MAP). With so many benefits, it’s no wonder why many of the most successful National Team programs throughout the world base their rider development on a foundation of track cycling. If you’re a cyclist chances are you already have clothes that you would wear when you’re out on a ride. Feel free to use those on the track as well. If you don’t have a cycling outfit just come in athletic gear; shorts are best and some sort of shirt that wicks moisture away from the skin. Cotton is never a great idea because it holds the moisture in and you can get quite cool while riding. Also, it can get chilly in our facility so it’s always a good idea to bring a light jacket. You may not need it, but there’s certainly been occasions when people appreciated having one. If you’ve done your first Intro to Track session you’re free to come out to any of the Novice Coached Workouts (check our Schedule). There’s no need to sign up, just show up and be ready to ride. Once you’ve attended four sessions a couple of things may happen. You may be asked to come out to a few more Novice Sessions or you may be free to attend Open Track as well as our Intermediate Coached Sessions. Remember, our goal is to make sure you have a great time and are well prepared for what you will experience in more advanced sessions. At the Burnaby Velodrome we like to encourage all types of riding. We have a strong racing program that runs from October to March but you are under no obligation to participate. With our occasional beer garden, sometimes it’s actually more fun to head out and spectate! For those riders that are interested in racing we hold Learn to Race clinics periodically throughout the year and, over the summer, we have sprint and time trial clinics that you can participate in without having any prior racing experience. Often believed to be specific to racing, the Burnaby Velodrome is actually a great place for recreational cyclists to come and get a great workout. Imagine your spin class, but instead of working every energy system you focus on one. Then imagine you get to work on bike handling (core strength) and pack handling at the same time. We can’t speak for everyone but it’s certainly nice to move around, even if it is in circles. If you would like to ride, make sure you check out our Schedule for a list of Coached Sessions and Open Track. You will also need to have participated in our Introduction to Track (a series of four coached sessions) prior to attending any other sessions. To learn more about our Introduction to Track program click here. At any time, there must be at least two (2) people present in order to ride! We recommend that you bring your own pedals whenever possible, especially if you have clip-less pedals. If you don’t, no worries. 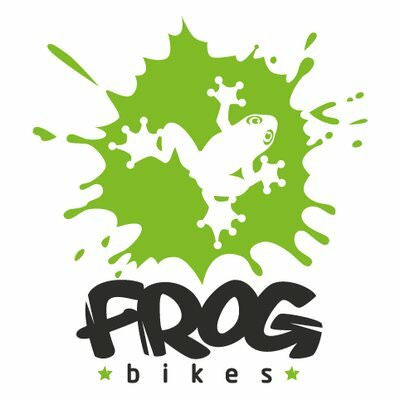 We have a number of pedals with toe-clips that we can loan. Because of the pitch of our track the minimum rolling speed is 30 km/hr. It may seem fast but it’s pretty rare that someone isn’t able to maintain that speed. In fact, we have a number of youth programs that work with kids as young as 11 years old without problems. In the beginning, most people fall because they get on the track and then panic. When in doubt just remember Marianne Williamson’s famous quote, “Our deepest fear is not that we are inadequate. Our deepest fear is that we are powerful beyond measure.” Oh, and just ride a little faster. Your safety is important to us and we have a great team of coaches here to help you succeed! Spectators are always welcome to come out to the velodrome. Starting in October and going through March we have racing every Friday night. This year we’re planning a few bigger events that will be ideal to come and spectate. Follow us on Twitter, “Like” us on Facebook, or keep an eye on our website. No. Some outdoor 333M or 400M tracks are shallow and wide enough to let road bikes ride on them for beginners. The Burnaby Velodrome is a track-bike-only track. Luckily, we do have a fleet of rental bikes. The Burnaby Velodrome is inside the Harry Jerome Sports Centre on the north side of Burnaby Mountain, about 20 minutes drive due east from downtown Vancouver, BC. You can find a map and our address on the contact page. The track is open year round but our hours are limited. For monthly schedules go to the schedules page. All fees are listed on the fees page. Unfortunately the only domestic racing licenses that we acknowledge at the Burnaby Velodrome are those issued by Cycling BC. If you’re coming from the US or a different Province within Canada you’ll need to buy a UCI license in order to ride our track.